The Aussie advanced 0.3% against the greenback on Thursday, after the release of the Chinese HSBC flash manufacturing PMI rose to a seven-month high, lifted by the higher commodity prices which also supported demand. The Australian dollar advanced 0.24% higher at $0.9648 against the US dollar as of 5:30am GMT, after the aussie reached its highest level since June 3. 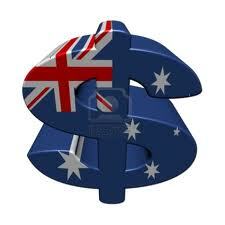 The aussie rose 0.20% higher at A$1.4288 against the euro at the same time. China’s HSBC’s flash Purchasing Managers Index (PMI) came in at a reading of 50.9 in October, advancing from its previous reading of 50.2 in the previous month. An index reading above 50 indicates an expansion in the sector. Meanwhile China’s benchmark money-market rate advanced for a second day, rising to its highest level since July. The Australian dollar edged higher against the greenback on Thursday, driven by the high oil and metal prices lifted commodity-linked currencies. New Zealand’s kiwi rose 0.35% higher at $0.8414 against the US dollar at the time of writing, while the Canadian dollar advanced 0.08% to C$1.0374 at the time of writing. While the West Texas Intermediate crude climbed 0.63% higher at $97.47 per barrel, while the European benchmark Brent crude oil was seen trading 0.05% higher at $107.87 per barrel at the time of writing. Yellow metal contracts for December edged 0.15% higher to $1,336.10 an ounce on New York’s Comex at the time of writing, while silver futures added 0.52% to $22.735. RBA Deputy Governor Philip Lowe said the he observes signs of improvement in the country’s economy and Australia’s central bank is at a stronger position after the one-off grant from the government. He also commented on the positive developments from China, which are important to Australia.